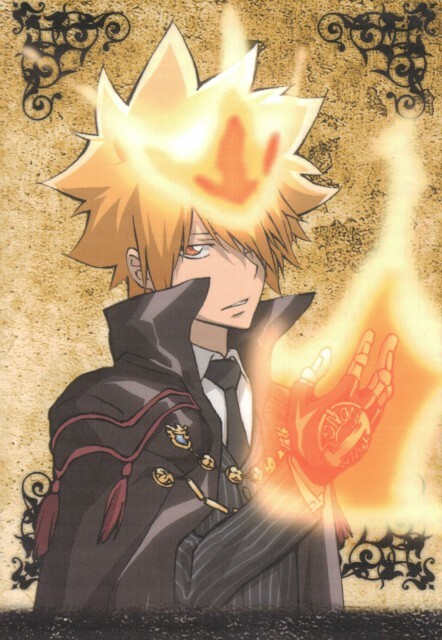 Primo, the most epic vongola boss. Nice scans, thanks for sharing! Giotto-sama!?? so cool! thanks for sharing!? Oh wow. I really, REALLY like his expression here. It's nice to see him looking a little less serious for once. +fav for sure! Thankies very much for this! He is hoot <3 Not like Tsuna at all XD Thanks. Kyaaa! Primo! Thanks for sharing. OMG! KYAAAA~~! *fangal screams* it's primo! a battle pose of him! Giooto looks os handsome *A* ! Cool pose & beautiful scan ! Thanks a lot for sharing ^^ !